Is there any scope for Ethical hacking? 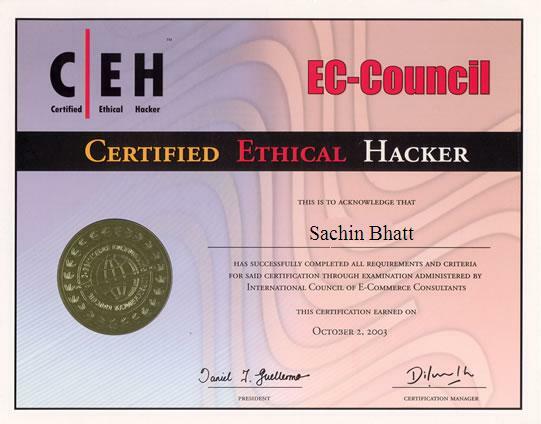 What is the scope for ethical hacking in India? Where can I get the required training? How to become an ethical hacker ? What qualification is needed ? How do credit card companies acquire foolproof safety? Who ensures safe access to bank accounts over the Net, and security of messages on local computers and servers. Hackers (as opposed to crackers) are the experts whose services are hired by organizations to test the robustness of their network security systems. What differentiates ethical hackers from crackers is that the former are actually paid to find a security breach in an organization’s network. It is "ethical" or legal because it is done with the client’s permission. With more and more organizations moving their offline transactions online, e-security has emerged as a major issue. Almost every Fortune 500 company employs hackers to protect their critical data from possible cracker attacks. They also educate government, defense services, banks and law enforcement bodies on how to better use technology to get their jobs done securely. In India, as the concept of e-security is still not fully developed, ethical hacking is not as popular. However, it is fast catching up and very soon ‘constructive hacking’ will become part of technology consulting. To be a good hacker, you need to be an experienced and intelligent programmer in the first place. You need to know at least one operating system inside out. You have to be comfortable with networking, TCP/IP and various other protocols. There are no shortcuts and the best approach is to get hold of as many technical manuals. You can learn hacking techniques from three main sources: The Net, books, and hacking clubs. In India, Ankit Fadia’s "hackingtruths’ club distributes training material to members. personally, I do not prefer for hackingtruths. Some organizations (e.g. SANS, Foundstone etc) do offer courses in ethical hacking. However, the best training is on the job, which requires expertise in different tools and techniques. As a fresher you would require rigorous training on various networking technologies, operating systems, scripting, languages, security tools etc. Experts in this field command huge salaries. Starting salaries would be higher than standard networking and software professionals. 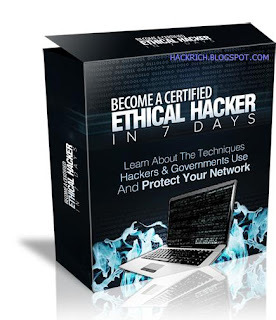 Try to enrich your knowledge with the use of blogs like hackrich. Hi There! Nice blog to read about the ethical hacking training in Delhi, iphone apps development training in Delhi, etc. It’s Really Helpful for people who interested in iphone course, android course, android classes and Android Apps Development in Delhi. Thanks for sharing such useful information with us.